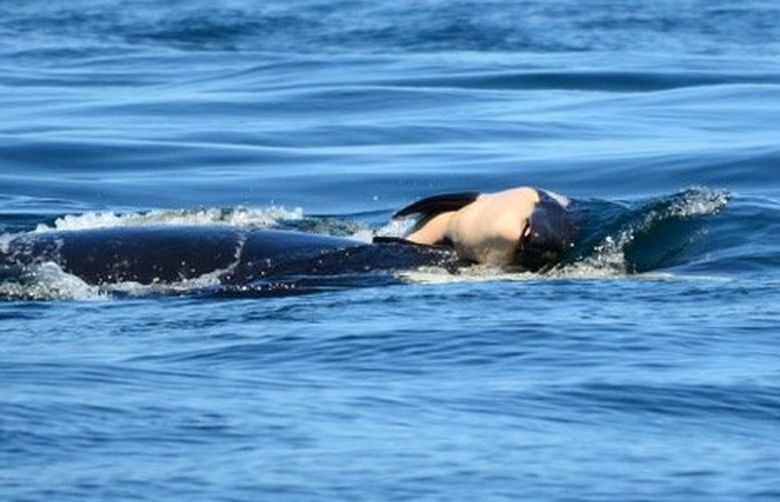 A grieving mother orca is falling behind her group as she labors through the water at about 6 knots, continuing to carry her dead calf in a seventh day of mourning. J35, or Tahlequah, gave birth the morning of July 24 to the calf, which lived for only one half-hour. She has refused to let go of it ever since, carrying the infant either by one fin, or pushing it through the water on her head. “Sometimes it just looks like a silver wave,” said Jenny Atkinson, executive director of the Whale Museum at Friday Harbor, which runs the Soundwatch program that is monitoring the mother continuously from a distance in daylight hours. J pod, the mother’s clan, has been staying with her and has turned out in force, with more members of the pod by the day staying with her. Researchers who work with the critically endangered orcas are concerned for the mother’s health — and ache for her. To Giles, the sad tableau seems like a metaphor for a region stuck in its own grief over the declining whales. On Sunday, Tahlequah was surrounded by her entire family. Researchers who are with the whales daily have been concerned for her, especially as to whether she is getting enough to eat. “This has to be so hard for her,” said Michael Weiss of the University of Exeter, who with the Center for Whale Research at Friday Harbor was monitoring the clan Sunday as the whales surged alongside her. Taylor Shedd, also watching from the Soundwatch boat, said he saw Tahlequah breach three times Saturday evening, and her body still looked healthy and strong. “You could not see any ribs,” he said. On Monday Shedd and his crew continued their vigil with the mother, sighting her at 12:07 p.m., still carrying the calf. The crew’s monitoring work has been stressful, emotional and continuous. Atkinson said she has the equipment for an oil change at the ready for the boat, to quickly service it when the crew comes back in for the night and be ready to get right back out on the water. 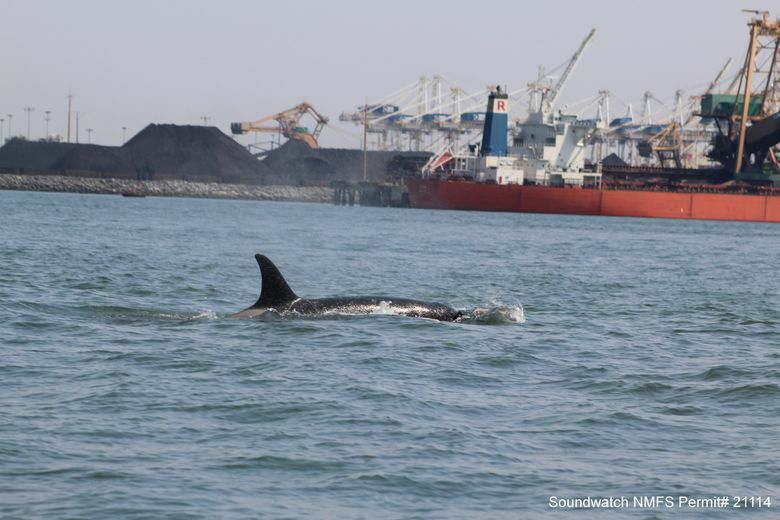 In addition to monitoring her condition, the Soundwatch crew is helping to keep boaters away from the whales. The nonprofit has educators on the water every day during the whale-watch season, to remind boaters to keep at least the required 200-yard distance from the whales. But this has been a season like no other, as the world watches and holds its breath over the grieving whale and her baby.